Penang is undoubtedly home to the best food in Malaysia. 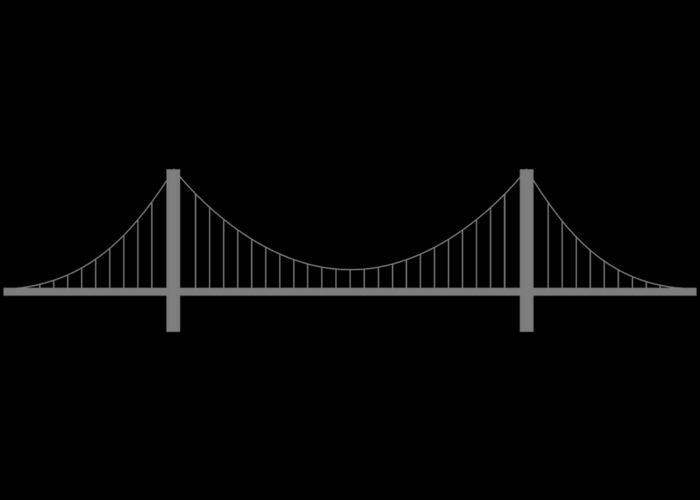 Dubbed as “The Food Paradise of Asia”, it’s a place all foodies love and appreciate. 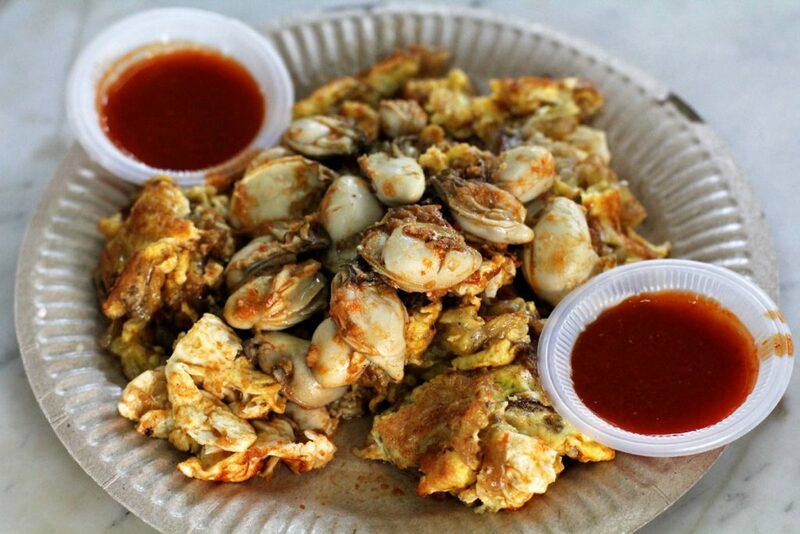 With all the street food and hawker stalls, there’s just so much to fill your stomach in Penang! 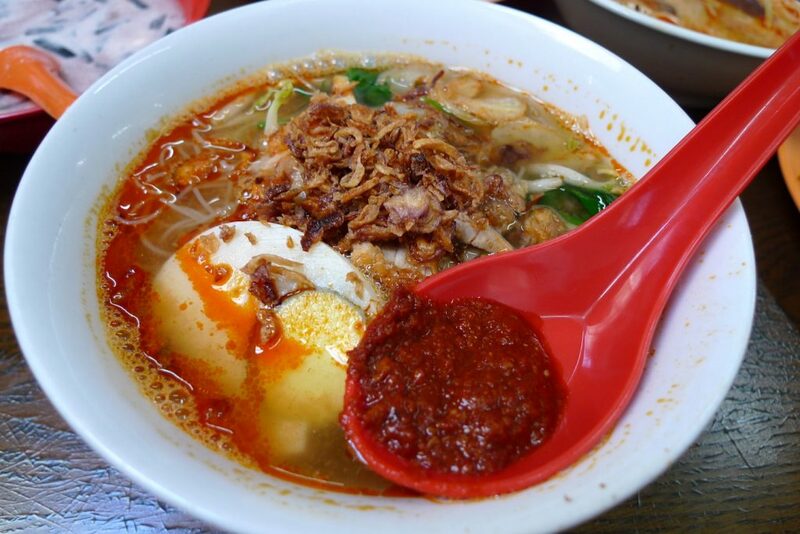 Here are our top picks for food you must try when you’re in Malaysia’s food state. 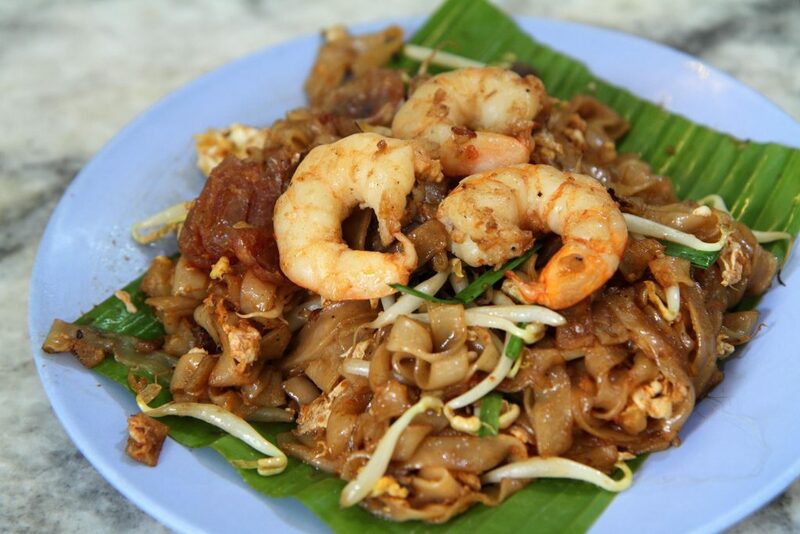 An iconic Penang food, and sometimes known as its state dish, Char Koay Teow is a dish of stir-fried flat rice noodles. These noodles are fried in pork fat with soy sauce, prawns, cockles, bean sprouts, chives, egg, and a hint of chilli. The soft chewy noodles together with the fluffy egg and succulent prawns are heaven for your taste buds. 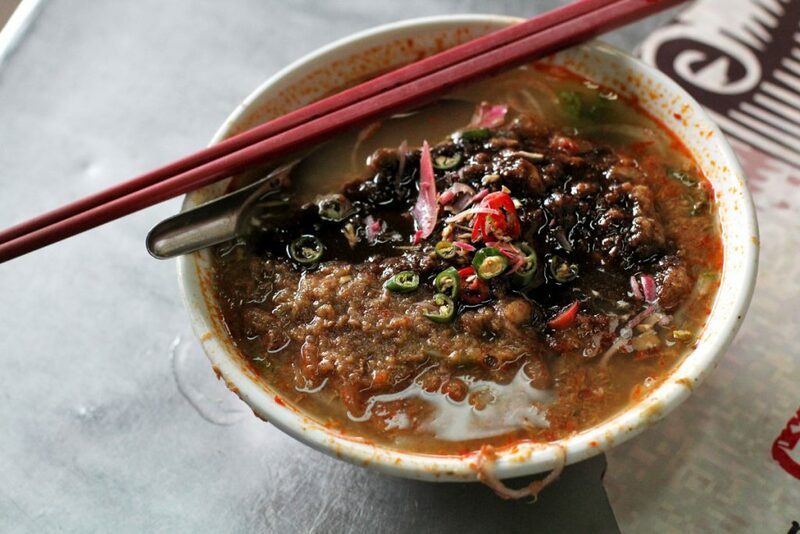 Another signature Penang dish that’s popular with the locals is Asam Laksa. It consists of rice noodles in a sour tamarind-based broth that’s spicy with a hint of fishiness from the mackerel. On top of that, it’s garnished with mint, pineapple, onions, and shrimp paste, giving the dish its complexity and depth of flavour. 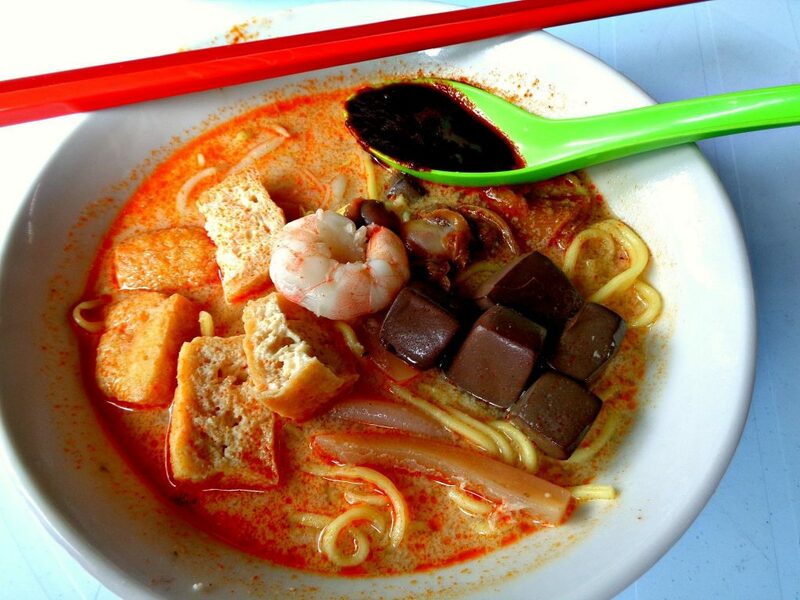 Penang’s curry mee is what’s known as curry laksa in other parts of Malaysia. Curry mee is a dish of egg noodles in a coconut-based curry broth. Each bowl comes with bean curd puffs, bean sprouts, coagulated pig’s blood, cuttlefish and bean sprouts. The thick curry soup definitely hits the right spot when you’re hungry. Rojak is a Malay word that translates to “mixture”, and it perfectly encapsulates this dish. 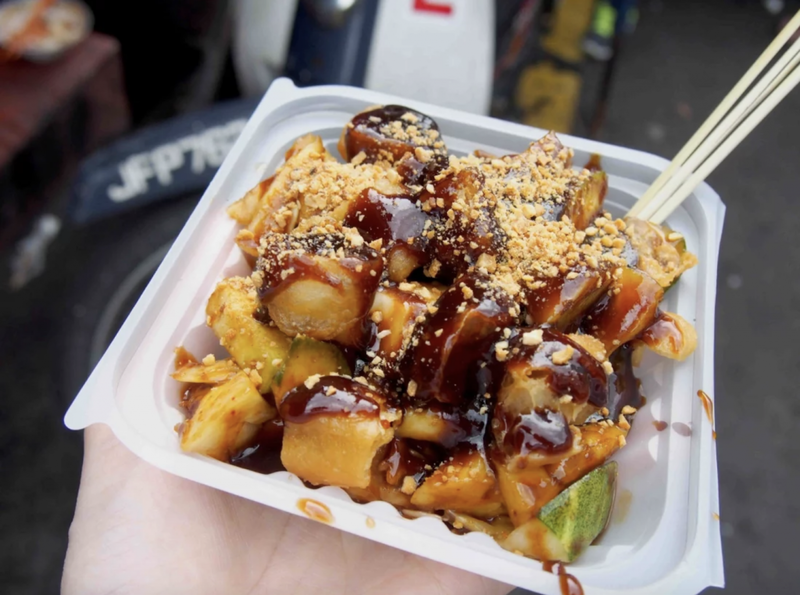 Rojak is basically a fruit and vegetable salad mixed together with a sweet and thick sauce made of shrimp paste and crushed peanuts. It’s a traditional dish that truly captures the cultural diversity of Malaysia with its mouth-watering mixture of sweet, sour, and spicy. This Hokkien Mee should not be confused with the dark gravy type Hokkien Mee you’ll find in Klang Valley. Penang Hokkien Mee actually refers to a bowl of spicy prawn noodles! This appetising dish is topped with chilli paste, prawn, bean sprouts, fried shallots, half a hard-boiled egg and more. 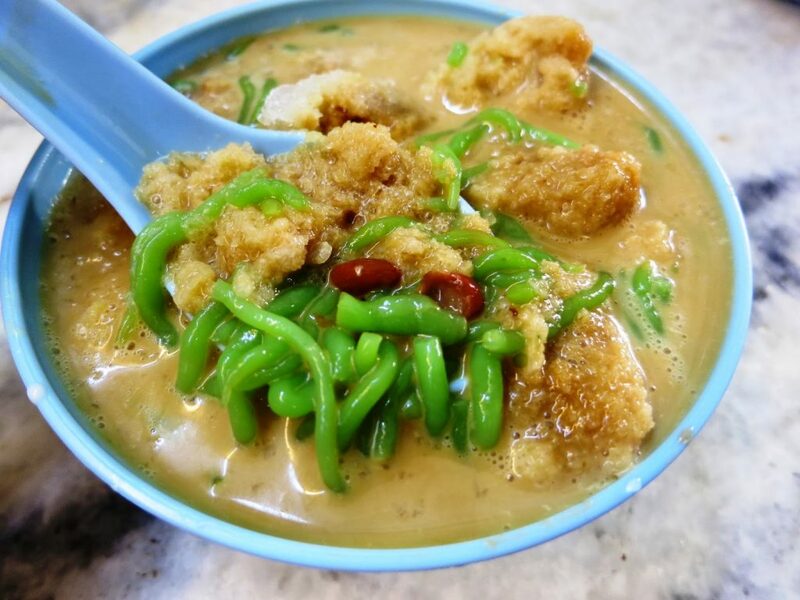 A famous dessert in the state of Penang is Cendol. Cendol is shaved ice with coconut milk (or condensed milk) and gula Melaka, topped with green rice flour jelly and red kidney beans. It’s a refreshing treat on a hot and sunny day, those with a sweet tooth will love it! This dish is similar to Char Koay Teow, except they stir-fry rice cake squares instead of flat noodles. 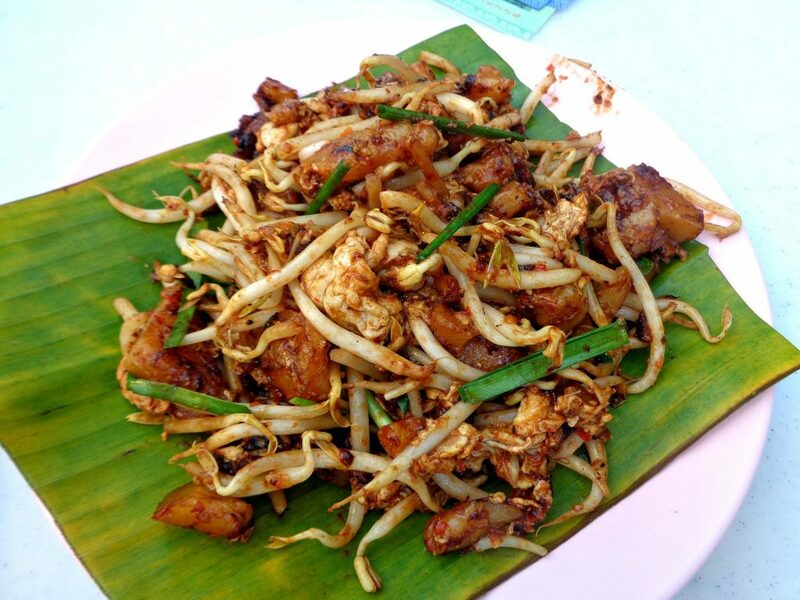 Char Koay Kak is a popular breakfast or supper dish in Penang that tastes savoury with a hint of sweetness. The rice cakes have a chewy texture and they’re fried with bean sprouts, radish bits, chilli paste, soy sauce, and chives. 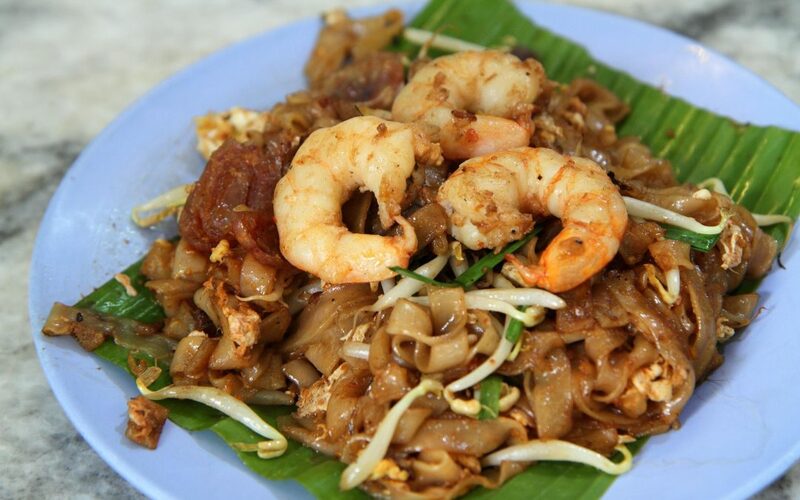 If you prefer something with a little more bite, you might like this better than Char Koay Teow! 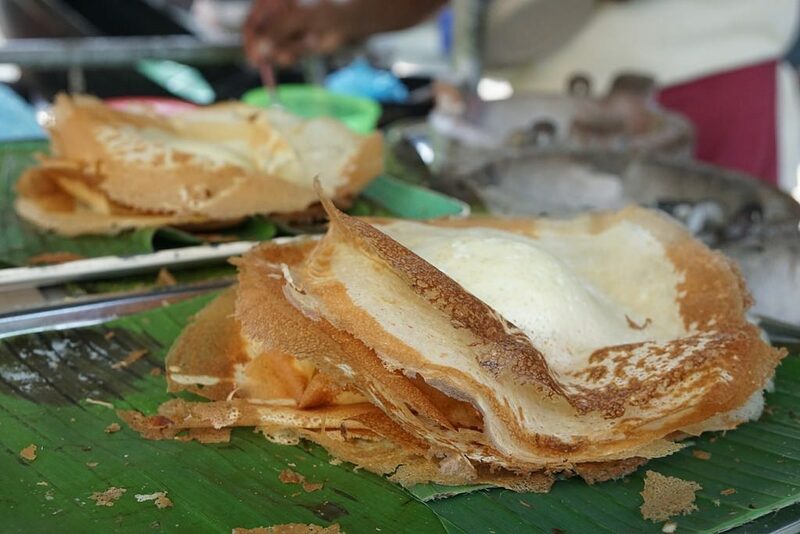 Another sweet entry on the list, Apom Manis is a sweet dessert and snack that resembles a crepe. Apoms are made of sugar, coconut milk, eggs, and flour. They have thin and crispy edges with a fluffy centre, making them great as a light snack – it’s easy to eat a few of these in one sitting! Oh Chien, also known as Oyster Omelette, may not look that appetising, but trust us when we say it tastes better than it looks. This fluffy omelette is often accompanied with spicy chilli sauce. Fried with tapioca flour and chives, this is a simple yet delectable dish that will truly make your mouth water. Last on our list is Penang’s Seafood Popiah. Popiah is a fresh spring roll with a soft and thin crepe wrapped around ingredients like turnips, bean sprouts, carrots, seafood, pork, and egg. 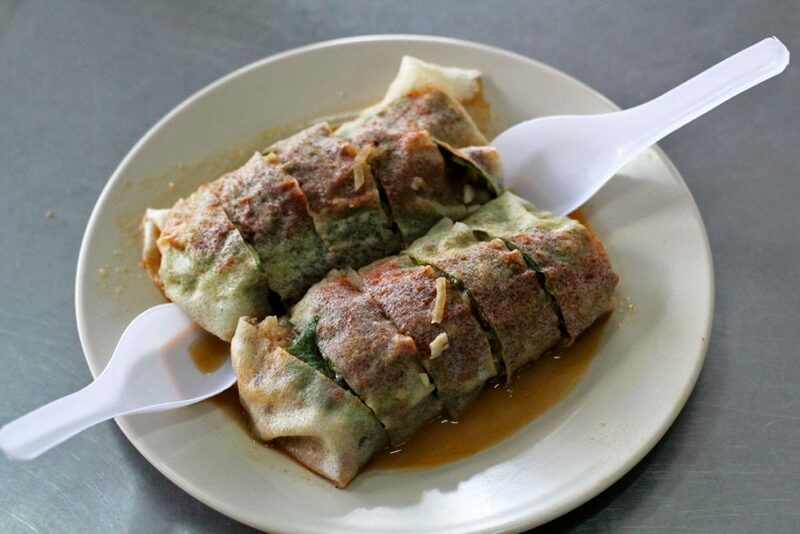 The fillings often vary depending on where you go, but Penang’s famous popiah contains real crab meat! It’s a palatable snack that will leave you craving for more.